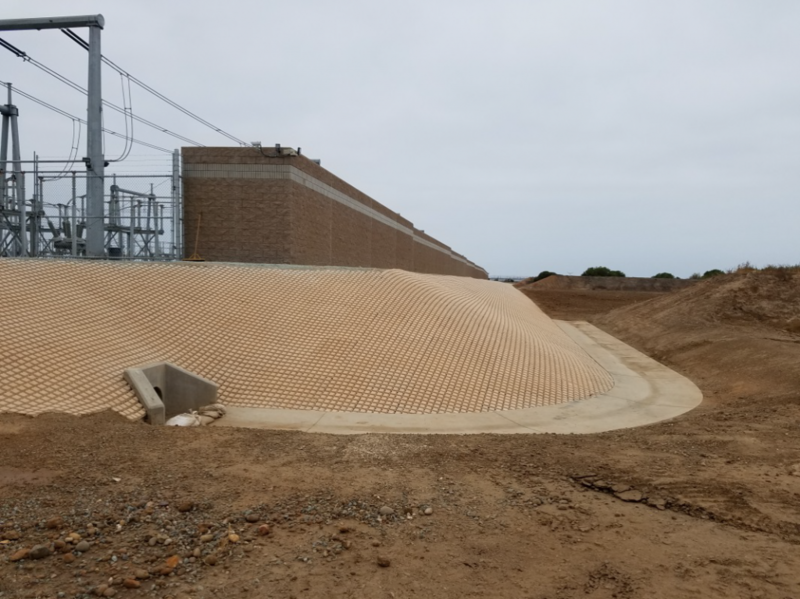 San Diego Gas & Electric required a long term slope stabilization, erosion control, and storm water runoff control system to be installed on 2:1 slopes for a new substation located in Chula Vista, CA. The city determined that Soil Retention’s Drivable Grass® system was the best solution for their needs and also provided an aesthetically pleasing finish. Drivable Grass® is a flexible and permeable paving system that can be used for various applications. Drivable Grass® is manufactured in 2 foot x 2 foot mats, each designed with an engineered polymer grid that allows it to flex and conform to irregular ground contours. The flexibility of the Drivable Grass® product allowed DCXcavation to install Drivable Grass® on curved and uneven surfaces. Due to the size of the individual mats, the installation is simple and quick compared to competing products on the market. Soil Retention worked with DCXcavation Inc. to provide specific project details to ensure the Drivable Grass® was installed properly. 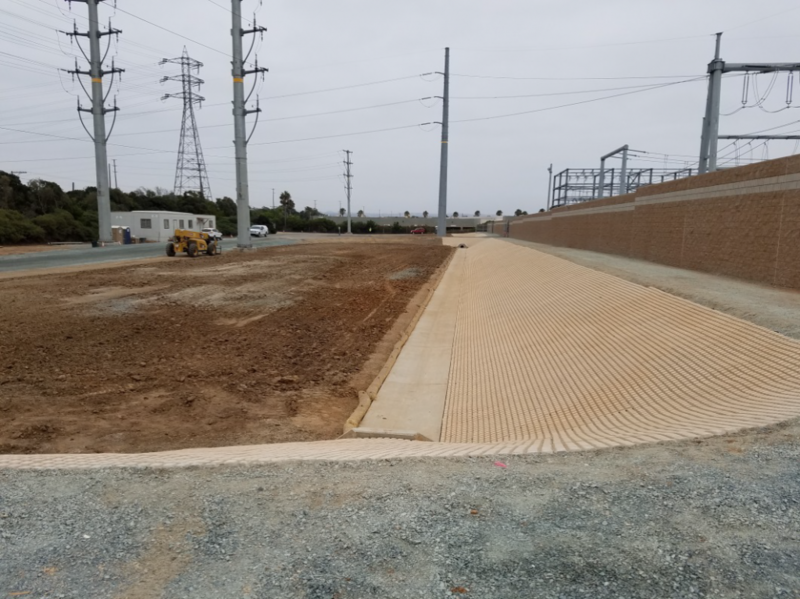 The installation for the Drivable Grass® also included 8” galvanized stakes to help secure the mats since there will be no vegetation on this project. The 8” galvanized stakes provide additional stability that allows Drivable Grass® to support a higher velocity flow rate. 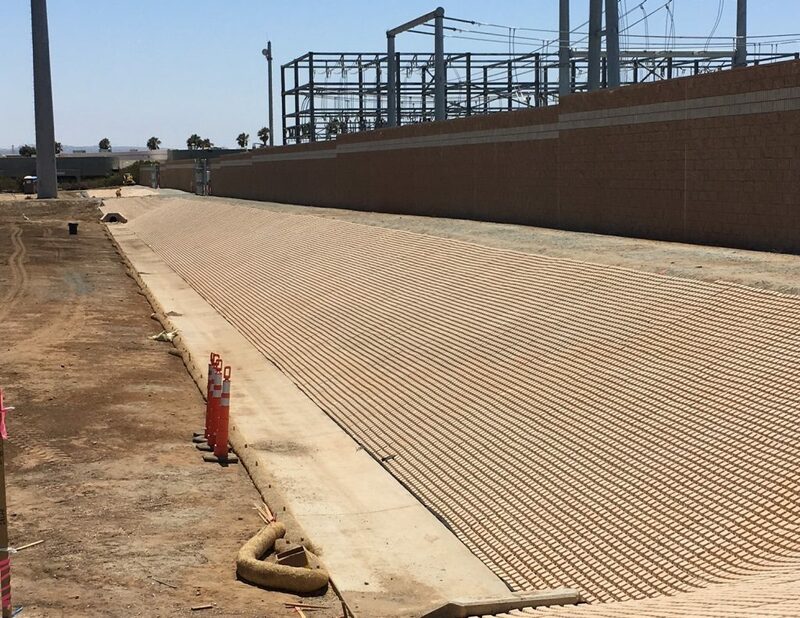 The SDGE Bay Boulevard Substation was a successful project and Soil Retention looks forward to more projects similar to it.